NUMBER OF TIMES IN THE RING: 25 POINTS (FOR EVERY TIME JUDGED). -This includes Jr. Champion classes, Senior Champion classes, etc. Every TLBT member that goes back into the ring to be judged for Jr. Champion (for example), receives 25 points. The winner of the Jr. Champion class determines the additional TLBT member that gets to compete for Reserve Champion along side all remaining Jr. Champion competitors. approved by the BOD June 2015 and became effective then. MEMBERSHIP RECRUITMENT: 25 points for each new member recruited. 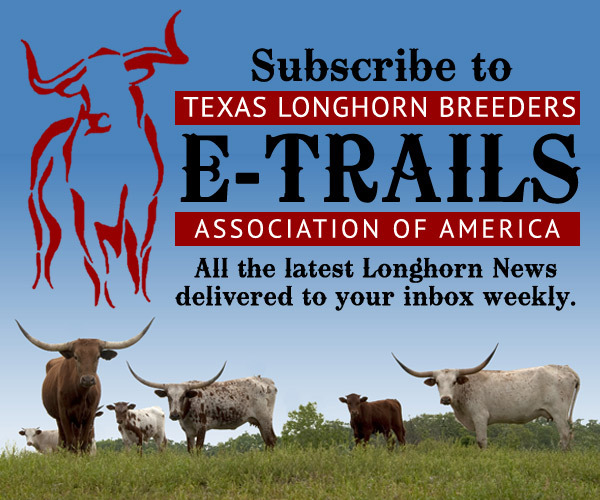 To qualify as a new member, you must participate in at least two TLBT events in your first year. (This is not a requirement for membership, only a requirement if the recruiting TLBT member is to earn points for that membership). A limit of 5 membership recruitments is allowed per year. YOUTH SEMINAR: 50 points per youth seminar. An outline of the seminar, list of participants and parent or teacher verification must be given to the TLBAA office to receive the points. A limit of 5 seminars are allowed per year. 3-5 MINUTE SPEECH: 50 points. A 3 to 5-minute speech given on the Longhorn Industry. A copy of the speech and parent or teacher verification must be given to the TLBAA office to receive the points. This is already noted on the sheet with the maximum of 15 speeches. 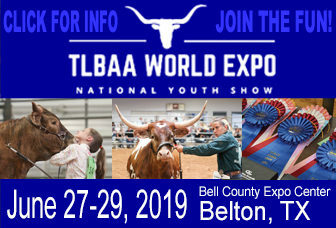 All TLBT Hall of Fame point requests must be turned into the TLBAA office by or before the TLBAA World Show and TLBT National Youth Show published entry deadline.